In recent years many breakthroughs have been made using carbon nanotubes composites to wire enzymes and create high sensitivity enzymatic electrodes. 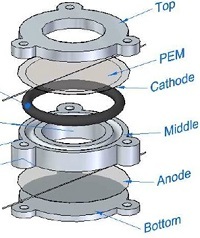 These have been shown to be of great use in a range of different applications including sensing and power generation. Unfortunately the long term toxicity of carbon nanotubes is a topic of much controversy, and their stability in biological systems is unproven. The development of alternate materials which have similar properties as carbon nanotubes (high surface areas and biocompatibility), but which are non-toxic and exhibit long-term stability in biological systems is therefore a topic of keen interest for this research group. We have therefore worked on establishing techniques for the low-cost production of extremely high surface area gold surfaces which are stable and have been proven to be an ideal support for enzyme immobilisation at high loadings. Safe, clean drinking water is crucial to the health of every person. Technologies which can rapidly monitor water quality are important to help detect and monitor the level of toxicants which can occur in fresh water sources, as well as treated wastewater streams. Existing technologies for the measurement of water quality and efficacy of wastewater treatment can often be slow, expensive and centralized away from the water to be assessed. This makes them unsuitable for real-time and sustainable monitoring. The key challenge is to develop a device that is not only cheap, but also simple with no expensive equipment to be operated. Microbial fuel cells technology can be the answer. Developed as biosensors, they can monitor the presence of toxicants in water based on changes to its output current caused by toxic effects to the biofilm within the cell. The advance of miniature microbial fuel cell biosensors is being pioneered by the group for applications targeted at on-line and on-site water quality monitoring of pharmaceuticals in wastewaters; and for the development of a cost-effective and self-sustainable tool for water quality monitoring in developing nations. Millions of people worldwide suffer from diabetes and have to keep a close eye on their glucose levels throughout the day. Currently the best way to do this is by taking a small blood sample in order to directly measure their blood glucose levels. This is not only inconvenient, but is also a source of constant discomfort for sufferers of diabetes. In our research group we believe that there is a better alternative. 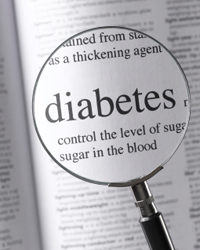 Since the concentration of glucose in sweat and skin extracts obtained by electroosmosis also vary with blood glucose they can be used to accurately determine the glucose levels in sufferers of diabetes. This would thus not require taking blood samples repeatedly throughout the day, but instead only require a couple drops of sweat. The typical concentrations of glucose in sweat is however much lower than in blood (about 1000 times lower). We are therefore working to develop glucose sensors with extremely high levels of sensitivity so as to accurately measure glucose at such low concentrations. 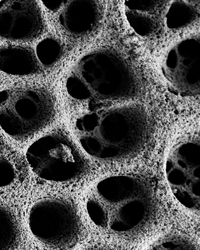 This is achieved through a combination of clever gold nanostructures and the use of enzymes as biological catalysts. Since the first implantation of a cardiac pacemaker in 1960 the development of devices capable of generating power within the human body has been a topic of keen interest. Though many technologies have been tried (including mechanical and even nuclear power generators), ultimately the relatively large power requirements of these early devices meant that only the use of lithium powered batteries was viable. 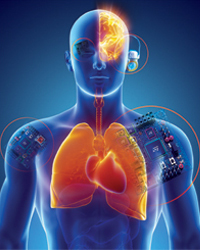 In recent years however, there has been a surge of research in developing micro-electro-mechanical systems such as implantable glucose sensors, cochlear implants and ocular implants. These often have to be so small so that the use of large bulky lithium powered batteries is not possible. Thus there has been a resurgence of research into finding ways of generating power within the human body. In this context the use of biofuel cells capable of generating power from metabolites naturally found in the body (such as glucose) is an innovative and versatile solution. Since such devices are not required to store any energy, they can be much smaller than any of existing technologies employed, and can thus be used for a range of different applications including those where size is a real issue (such as ocular implants).